The Efteling is one of our nation’s best kept secrets. This fairy tale inspired theme park has been something magical to both Ranald and I ever since we were little kids. And just last month ‘themeparkinsder’ named Efteling the ‘best theme park in the world’ beating ‘Tokyo DisneySea’. 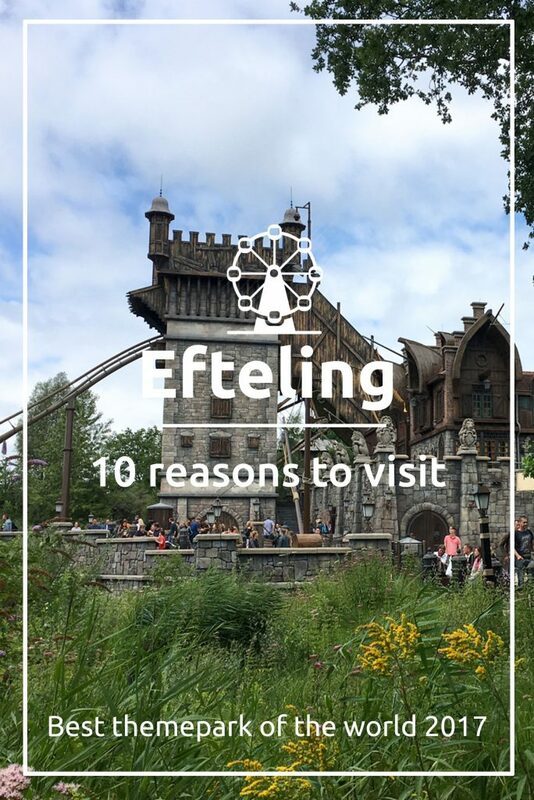 We obviously already knew how awesome the Efteling is, but to convince you: here are 10 reasons why the Efteling is the best theme park in the world. 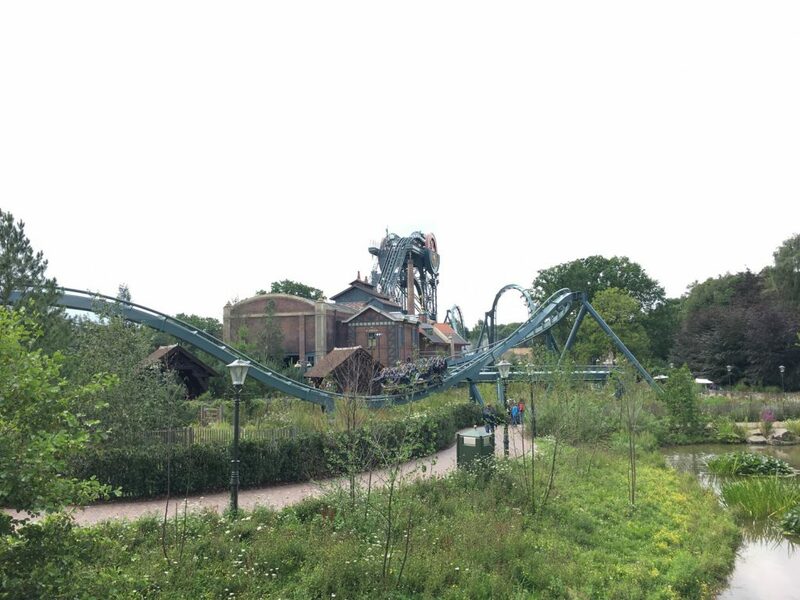 Droomvlucht: when we think of the Efteling this particular ride comes to mind. It has been a favorite of Chalana ever since she was little girl. This enchanting world filled with elves, trolls and fairies is magical for every age. Be sure to check out our Efteling video to see a little bit of this spectacular ride. 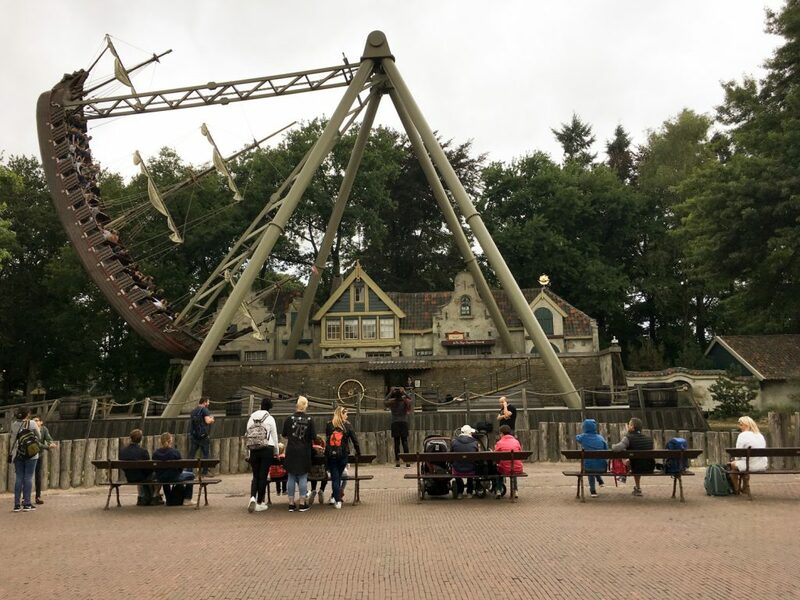 Fairy tale inspired, ideal for young children: the ‘Sprookjesbos’ or fairytale forest is one of the things that makes the Efteling ideal for young children. 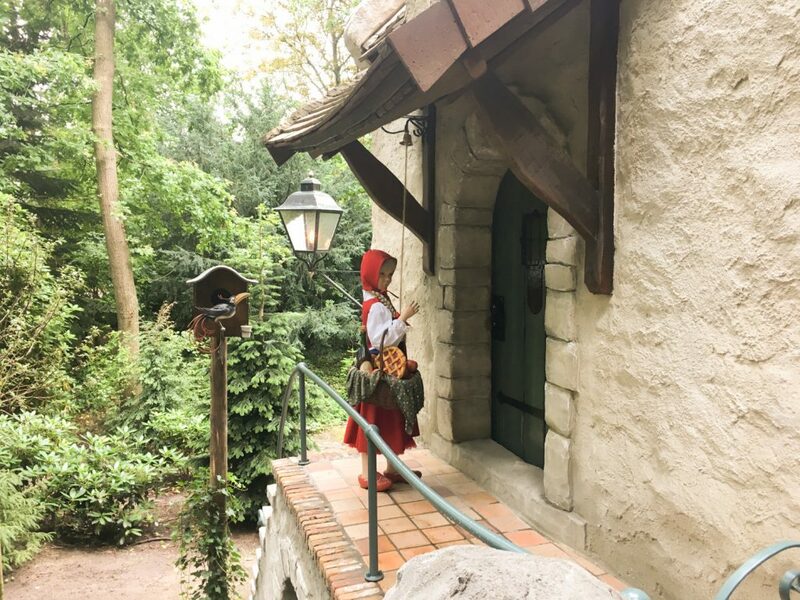 While walking through the forest you will encounter different fairy tales like Pinocchio, Little red riding hood, Hansel and Gretel, Sleeping beauty and Cinderella. 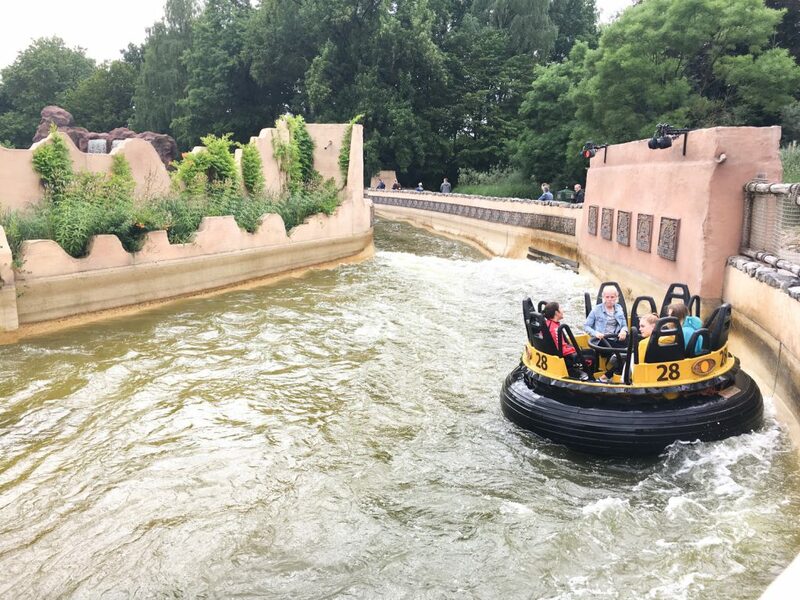 Great for or older children and adults too: there are plenty of thrill rides like Python, Vliegende Hollander, Joris en de Draak and Vogelrok making the Efteling the perfect family friendly theme park. Don’t forget the terrifying ‘Baron 1898’. Beautiful garden setting: everywhere you look there has been attention to detail. 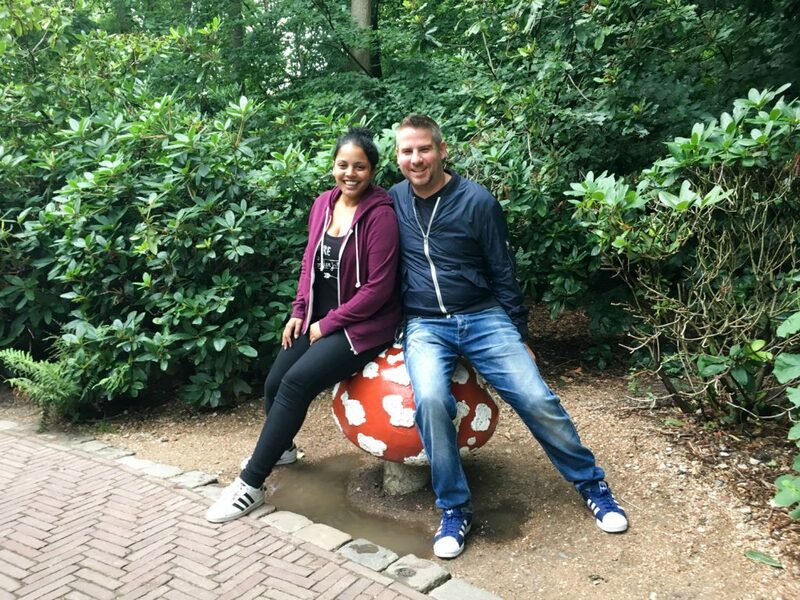 Perfect to spend a day here on your Amsterdam city trip: the Efteling can be visited easily from Amsterdam making it an ideal day trip! If you take the train from Amsterdam central station you can either go to ‘s Hertogenbosch (also known as Den Bosch) or Tilburg (we would recommend checking which train comes first and how long the ride will take, you can do this here. The train ride will take about an hour. From there you can take the bus that takes you directly to the Efteling. You can also rent a car in Amsterdam. Parking at the Efteling will cost 10 euros for the entire day and driving there will cost about 1 to 1,5 hours depending on traffic. Prices for tickets a relatively low compared to other theme parks like Disneyland: the prices for the tickets start at 37,50 euros (children under the age of 3 are free). You can buy the tickets at the gate but you can also buy them online on their English website which gives you a slight discount. The food: have we mentioned the food? 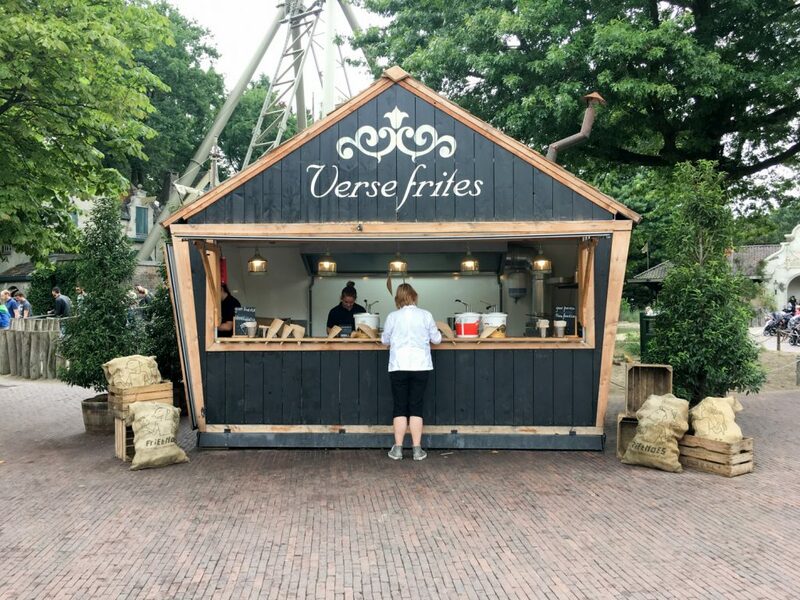 You can obviously indulge in typical Dutch treats like ‘oliebollen’, ‘poffertjes’ and of course fries with mayo. But there are so many themed restaurants that offer different kinds of food. There is a seafood restaurant, an Arab themed restaurant and off course there are several candy shops selling amazing varieties of your favorite treat. Don’t forget to get some amazing soft serve ice cream on a hot day! 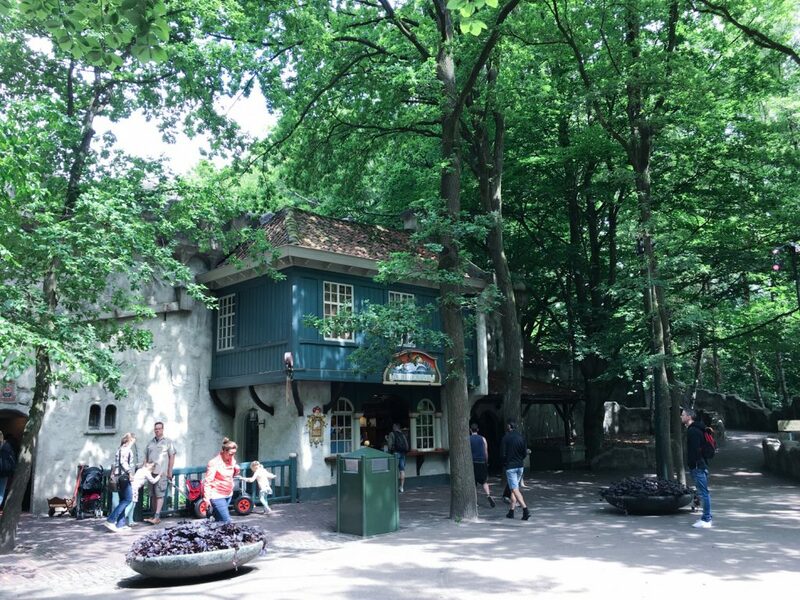 You can stay overnight: if you want to spend the night near the Efteling, you can! There are different holiday parks and hotels. Want to sleep like Cinderella or in a suite resembling your favorite Efteling ride like ‘Fata Morgana’? The Efteling hotel has themed suites. Park shows and entertainment: there are different park shows that are all free of charge. And you can also meet and greet your favorite Efteling inhabitant like little red riding hood. Our favorite rides: this list would not be complete with some of our favorite rides. We have been to several theme parks across the world but the rides in the Efteling are all beautiful. Besides ‘Droomvlucht’ our favorites are ‘Fata morgana’, ‘Vogelrok’, ‘Joris en de draak’ (Joris and the dragon), ‘de Vliegende Hollander’ (the flying Dutchman) and ‘Baron 1898’. Have you ever been to the Efteling? 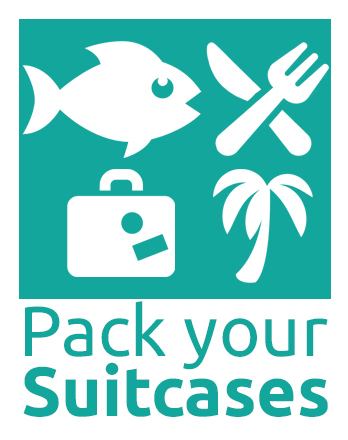 If you do, make sure to tag us (@packyoursuitcases) and the Efteling (@efteling).